The United States of America contains natural attractions in abundance, from Niagara Falls to the Grand Canyon. Framed by two oceans, bisected by the great Mississippi River and the Rocky Mountains, and home to such breathtaking sites as the Grand Canyon and Niagara Falls, the United States has natural attractions in abundance. You can find gorgeous natural attractions in all 50 states and U.S. territories, thanks to State and National Parks systems. But of course, some natural wonders in the USA are really worth traveling for. Below are some of the most lauded natural attractions in the United States. Don't see your favorite? Indeed, there are too many of these sights to list. 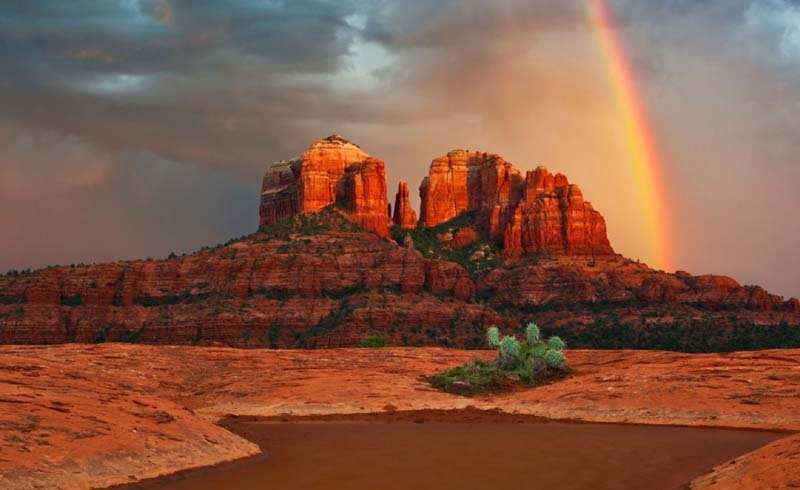 You may also want to check out USA UNESCO Sites, which includes more than a dozen National Parks and/or natural wonders that have been hailed by UNESCO as worthy of preservation. 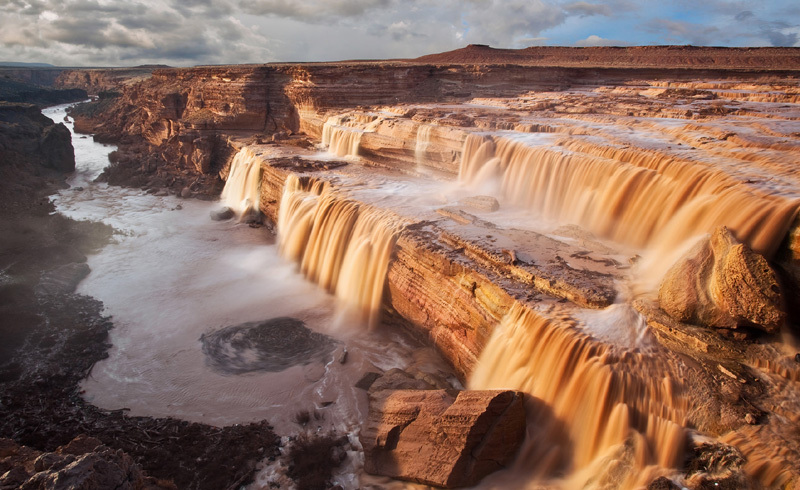 Located north of Phoenix, Arizona, the Grand Canyon is one of the USA's most impressive landscapes. According to the Grand Canyon NPS, this great chasm measures one mile deep, 18 miles wide, and stretches for approximately 277 river miles. 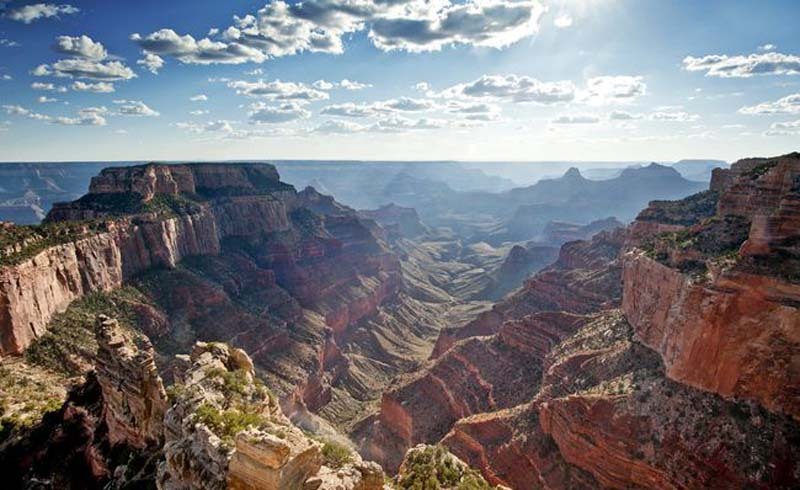 In all, the Grand Canyon National Park covers 1,218,375 acres. There are many ways to see the Grand Canyon, including from an overlook in your car or RV to the Skywalk, an extended porch built (in 2007) and maintained by the Hualapai Nation, a native people to this region. Skywalk is NOT a part of the Grand Canyon National Park, but nevertheless provides a stunning view of the area. If you are a true nature buff, the best way to see the Grand Canyon is via a hike. More than five million people visit the Grand Canyon annually, which presents a difficult challenge for the park service to maintain a pristine sight. In fact, the National Park Service banned the sale of bottled water at the Grand Canyon, so as to prevent the site from being littered with millions of plastic water bottles. As a favorite spot for honeymooners and daredevils over the years, Niagara Falls has become a massive tourist attraction. 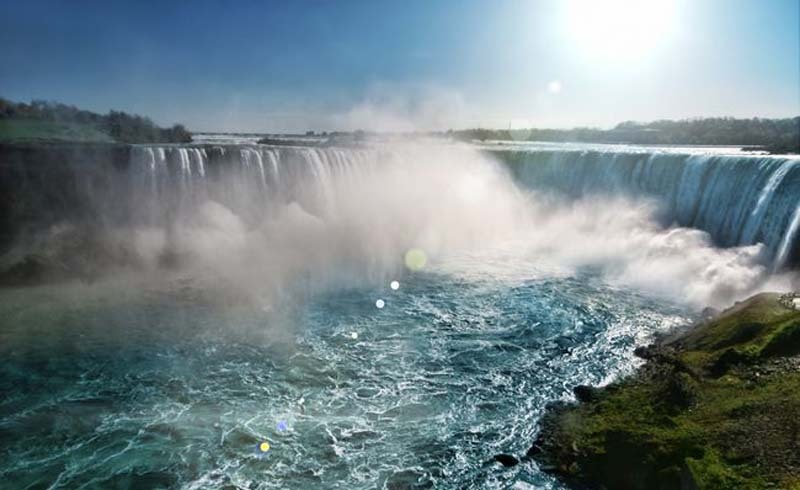 More than 20 million visitors on both the U.S. and Canadian side come to Niagara Falls each year, a fact that has unfortunately transformed this area into a tourist trap of schlocky stores and chain restaurants. Yet, if you can see past these blights, you will no doubt be impressed by the sheer power and majesty of Niagara Falls. Yellowstone is also the home of the world's largest collection of geysers—basically erupting hot springs—of which Old Faithful is the most famous. Erupting every 60-110 minutes for a duration of 1.5 to 5 minutes, Old Faithful was named by the explorers of the 1870 Washburn Expedition into Yellowstone who were impressed with the geyser's eruption consistency. 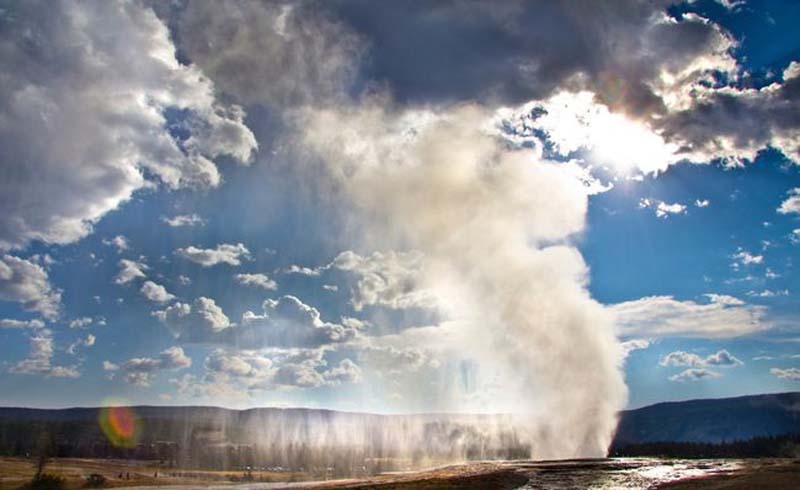 Though Old Faithful is not the largest geyser in the park—that would be the Steamboat Geyser—it does erupt at the most regular intervals, making it a favorite for tourists who want to witness this hydrothermal wonder. Standing at a height of 20,320 feet (6,194 meters), Denali is the highest peak in the United States, the highest peak in North America, and is one of the "Seven Summits," the highest peaks on each of the seven continents including Mount Everest (in Asia, the highest peak in the world) and Mount Aconcagua (in South America). Denali is the central feature of Denali National Park, which is comprised of six million acres of Alaskan wilderness. As for the name of the peak and park, the state of Alaska officially named it Denali in 1975 after its name in the language of the indigenous peoples of this area. A gold prospector seeking political favors named the mountain Mount McKinley after the Ohio-born politician William McKinley, who would become the 25th President of the United States. 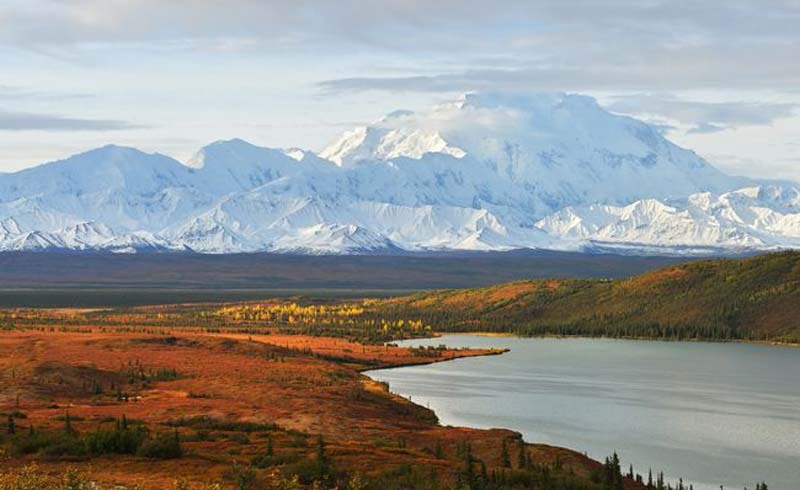 In 2015, the Obama administration officially renamed the mountain Denali at the Federal level. While Monument Valley is situated where the states of Utah and Arizona converge, the area is actually managed by the Navajo Nation. The Monument Valley Navajo Tribal Park includes hiking trails, camping areas, and a 17-mile scenic route for driving around the park. There is an admission fee and National Park passes are not accepted here. 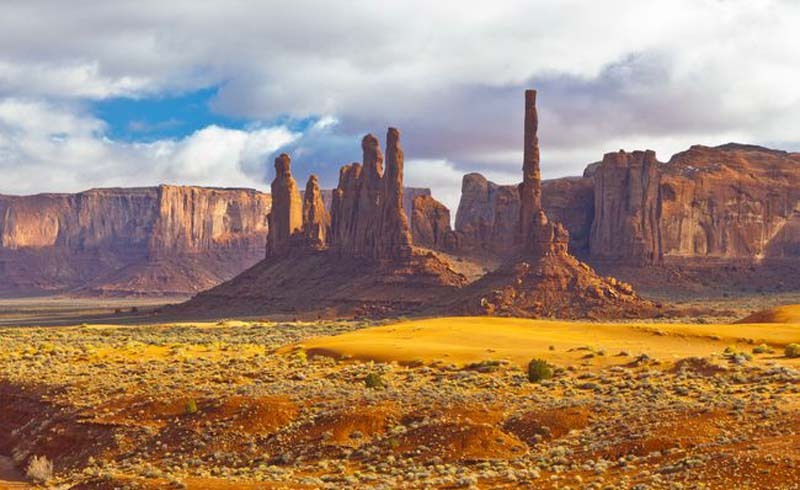 Some of the best-known rock formations in Monument Valley include the East and West Mittens, which look like, well, mittens; the Three Sisters, which appear to be a nun facing two pupils; Elephant Butte; Camel Butte; the Totem Pole; and John Ford Point. The best time to visit Monument Valley is during monsoon season which lasts from July to September. Designated as the first National Monument in the United States by President Theodore Roosevelt on September 24, 1906, Devils Tower is a 1,267-foot rock formation that juts dramatically out of the Wyoming prairie. The rock is sacred to many Native American tribes in the area, including the Lakota Sioux, Crow, Cheyenne, Kiowa, and Shoshone, who typically hold religious ceremonies in celebration of the monument in June. Climbers also revere the challenging monolith, and thousands attempt to scale the monument via 150 routes. 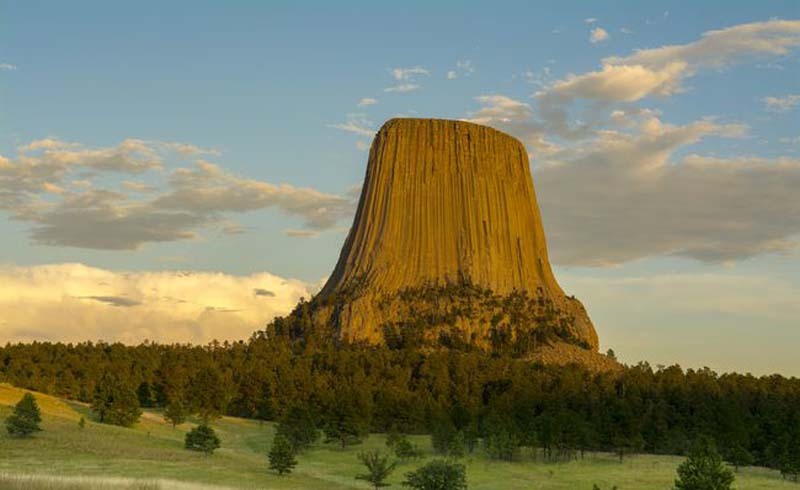 The federally designated park that surrounds Devils Tower covers 1,347 acres.